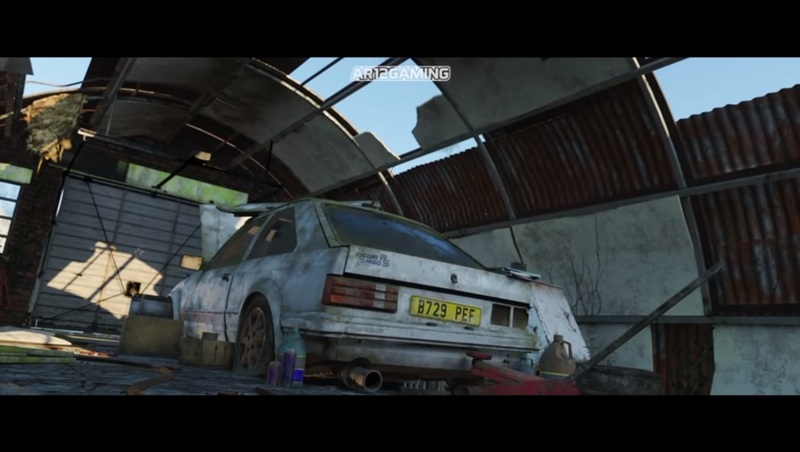 Forza Horizon 4 has some pretty cool cars hidden in barns across the map. 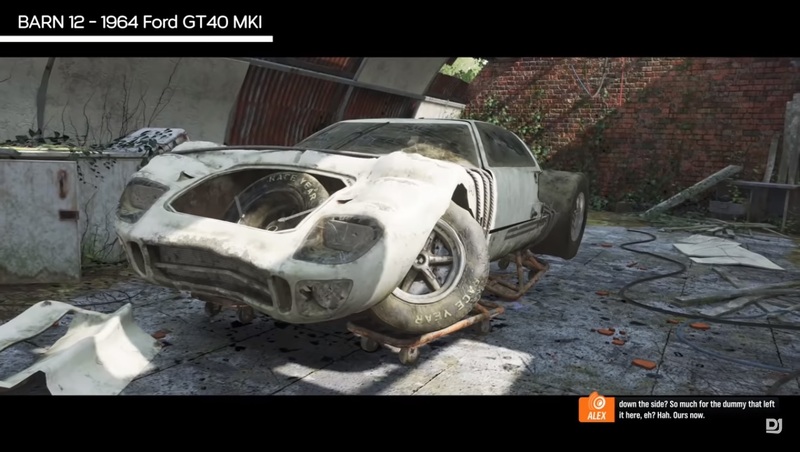 Barns will be highlighted on your map as you race and complete missions and just like Forza Horizon 3, you’ll be able to take these beauties away to get fixed up for you to drive. 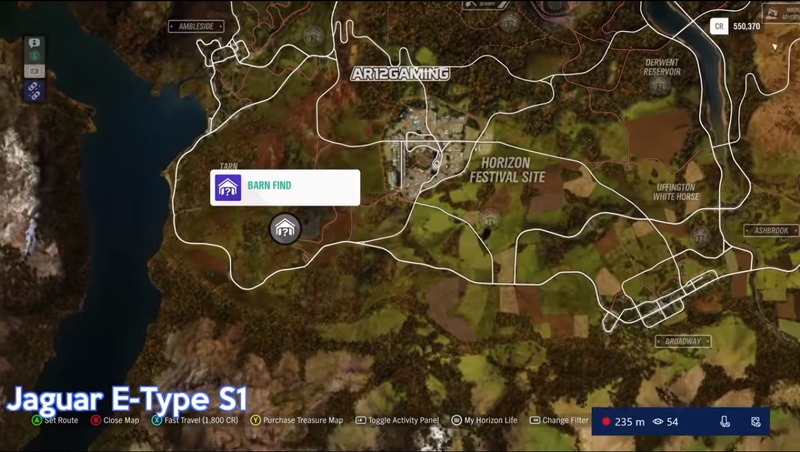 A few changes have been made to this system in Forza Horizon 4, namely that some barns will only be accessible during a specific season. Seasons are set to change weekly, so whilst you might be lucky enough to come across a barn, you might need to come back the following week to see if you can open it. 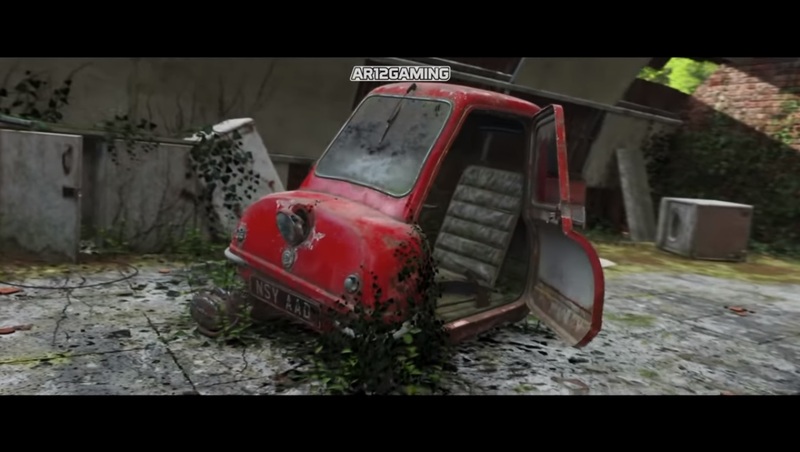 We know the location of 17 of these rare vehicles, which you can see below. 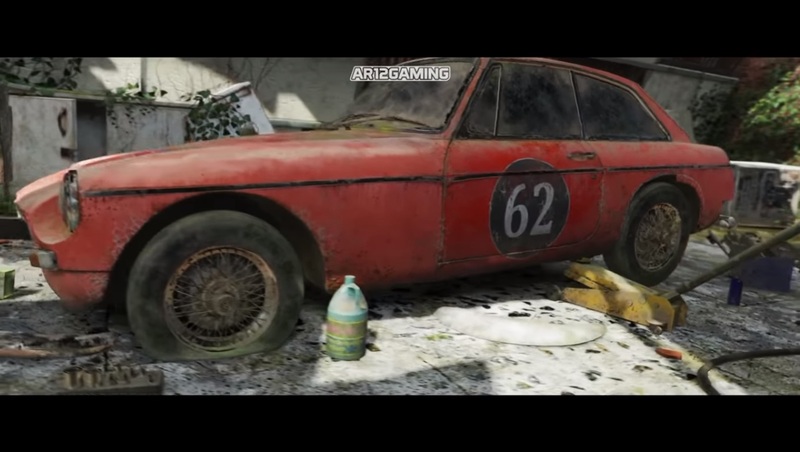 Thanks to YouTube user AR12Gaming for creating this video guide on how to find these cars. 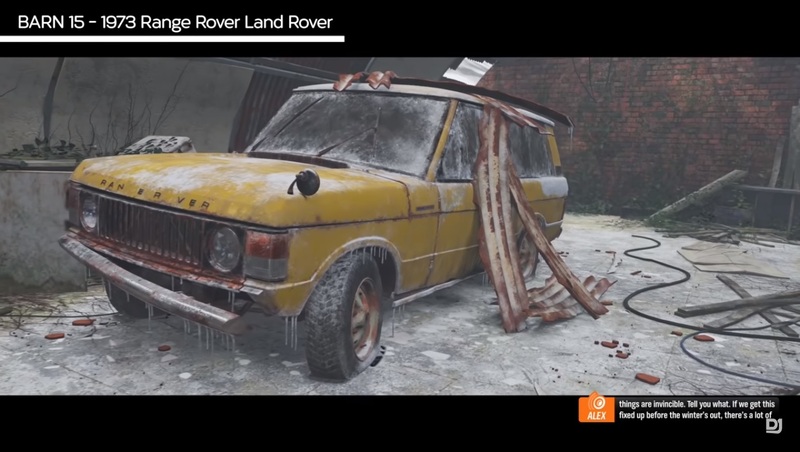 You might find these cars in a different order than the video showcases and may even find more barns that we’re unaware of. We’ll look at the regular barn finds that we know of before listing the seasonal barns. A favourite with boy racers, this classic Ford can be found Northwest of the Express Railyard and Southwest of Glen Rannoch. It’s a little off the beaten track but you’ll soon spot it on the horizon. 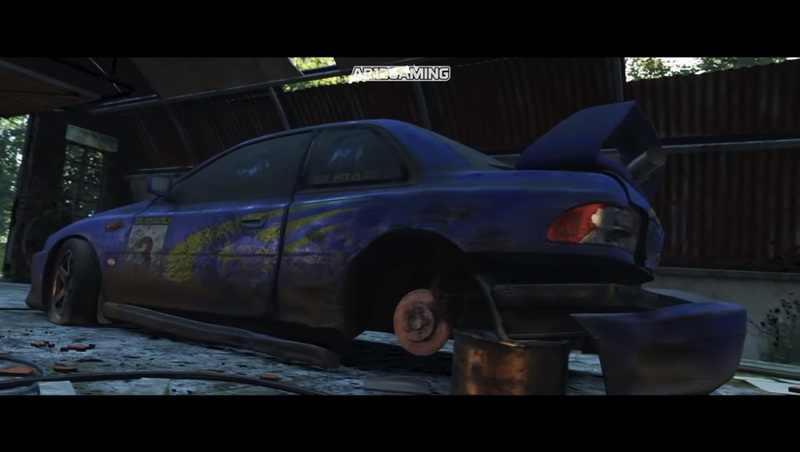 This Subaru is easier to spot – what Subaru isn’t? 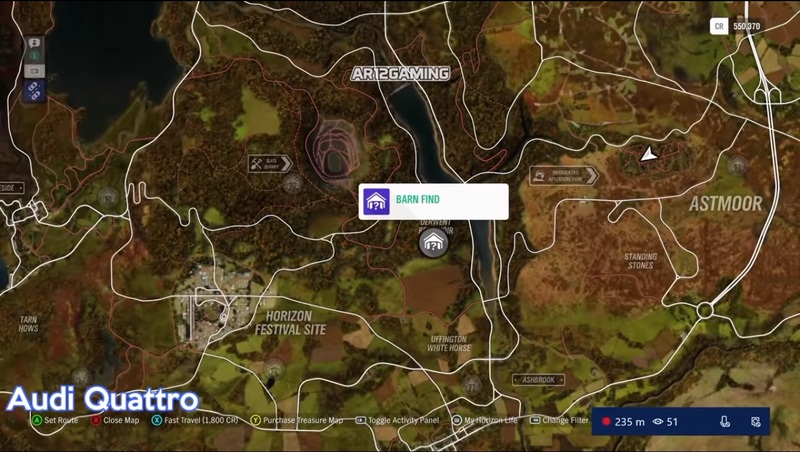 – directly south of Lakehurst Forest on a dirt track as indicated on the map. 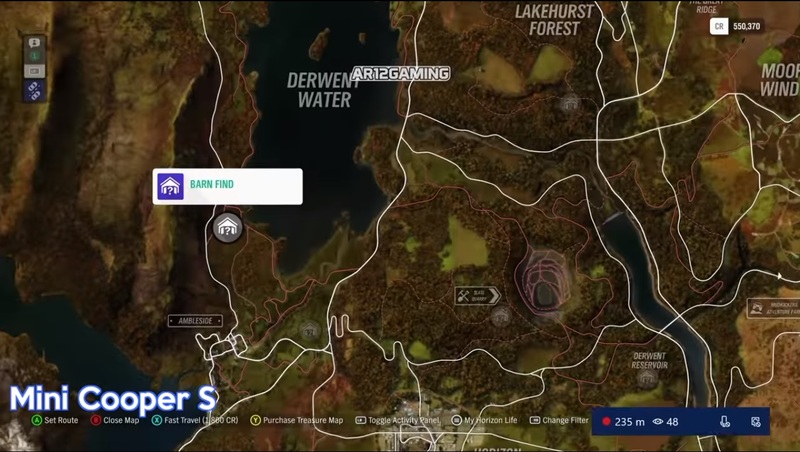 If you’re driving North, the track comes off just to the left before the junction you’d use to turn towards to Forest. 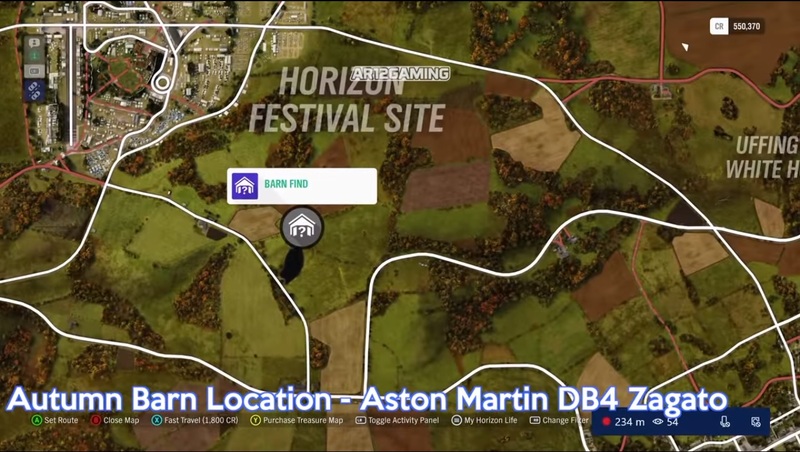 You’ll find this Jag slightly Southwest of the Horizon Festival site, Southeast of the Tarn Hows. It should just be visible once you approach the curve on the road that drives through the Hows. 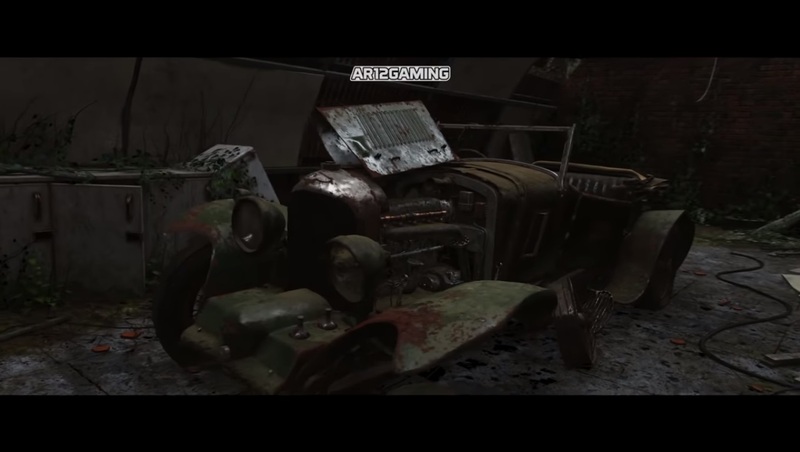 This classic Audi can be found in a barn at the South edge of the forest at the Derwent Reservoir. 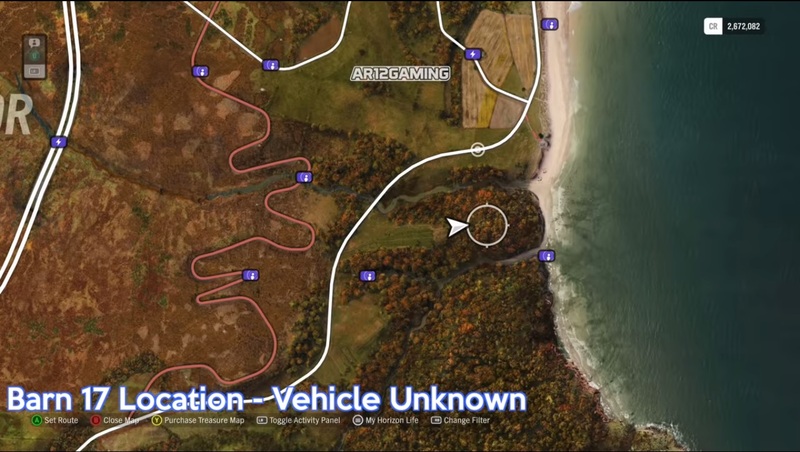 It’s off-road so you’ll need to be driving something suitable for the terrain to be able to find it. 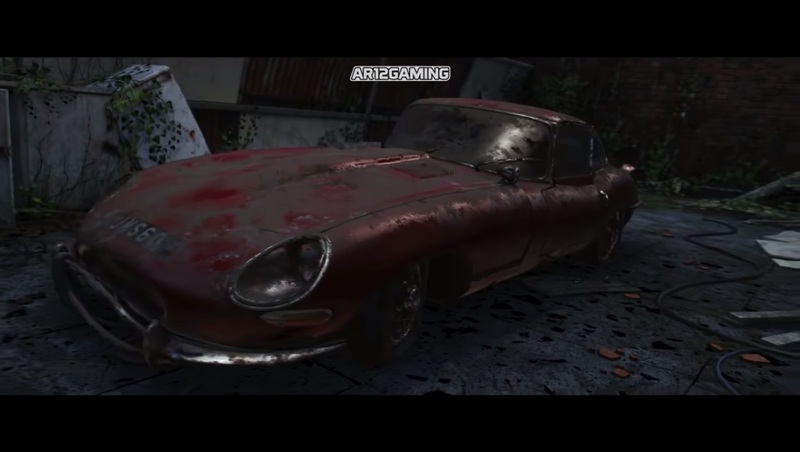 This sleek 90s Jag has been cruelly stashed away in a barn in a field East of Ambleside. 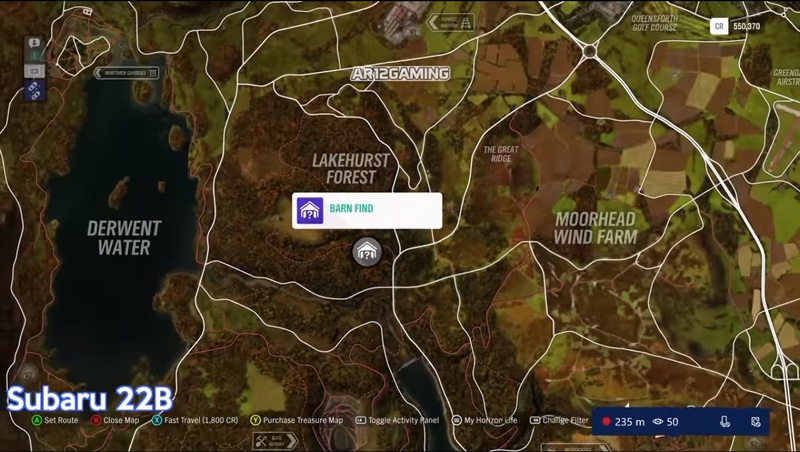 As you can see from the waypoint, it’s only just off the main road so you won’t need to travel too far in the find the barn that holds one of the best classic cars of the game. 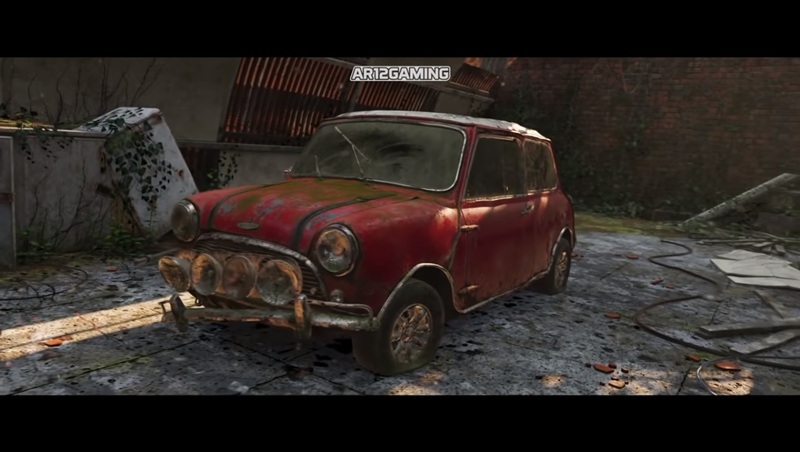 The Italian Job sparked a massive increase in popularity of these little motors and a red Mini Cooper S can be found in a barn directly North of Ambleside and Southwest of Derwent Waters. Once you’ve got it fixed up you’ll be able to tear up the idyllic British countryside in this speedy little bullet, as long as you sit in the back. 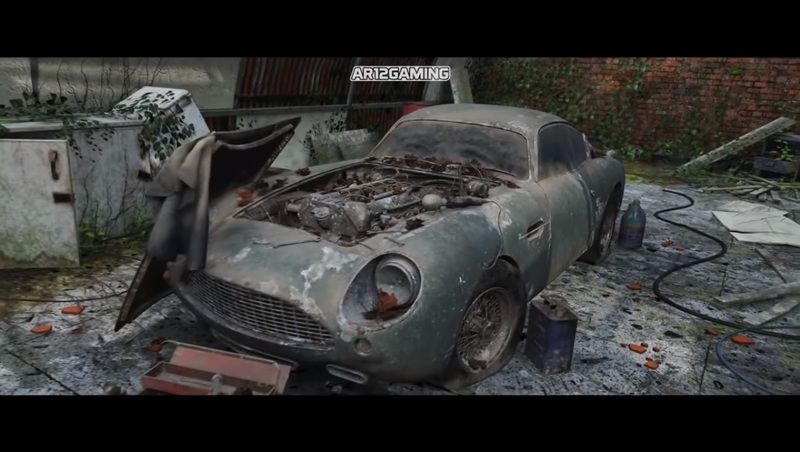 Known for its loud backfire, a TVR Cerbera can be found in a barn slightly Southeast of Greendale Airstrip and a fair bit inland west of the Lighthouse. This barn is conveniently placed on a farm and it’s easy enough to find. At the tip of the arrow on the Express Railyard sign, South of Glen Rannoch, you’ll find a banged up, baby blue Triumph Spitfire. The Triumph Spitfire has Italian influence and is of British design, so it’s a real find for classic car buffs. Another British classic car features on our list in the form of a red MG MGB GT. 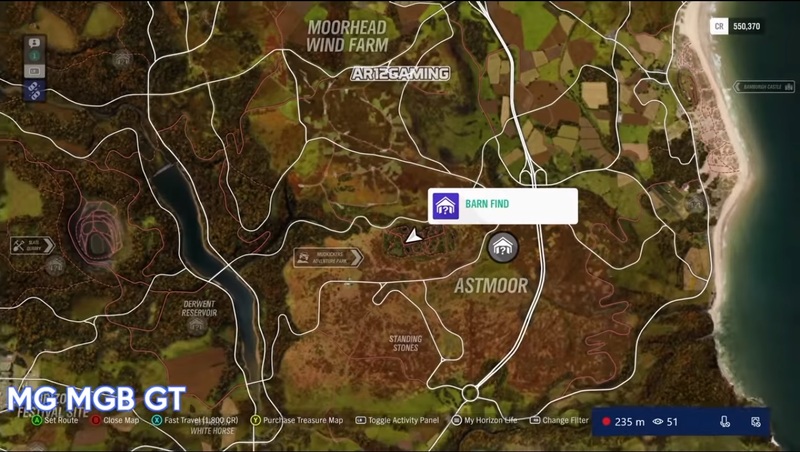 You can find the barn it’s stashed away in just slightly Northeast of Astmoor, directly East of Mudkickers Adventure Park. 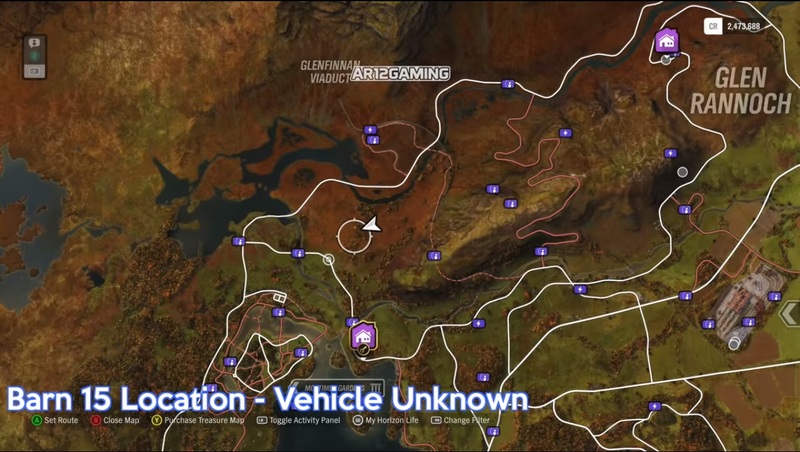 Again, you’ll want to be using a vehicle that can handle muddy terrain to find this one. 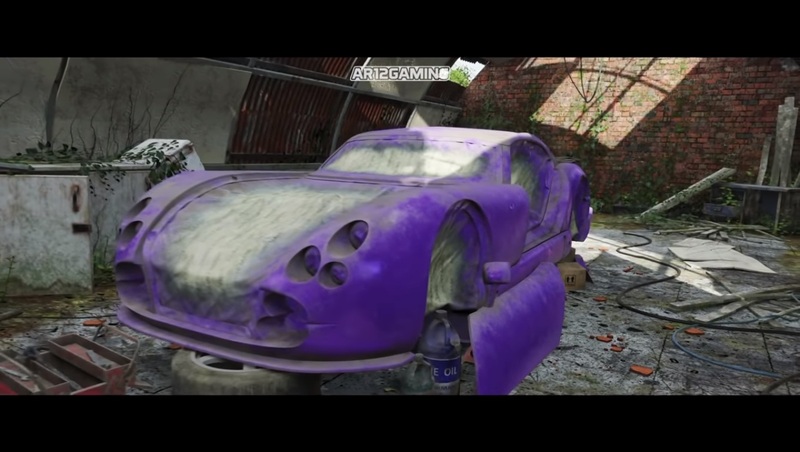 There’s a pay barrier to finding this old Bentley in Forza Horizon 4 as you’ll need to purchase the 10 million credit castle to get access to the barn. 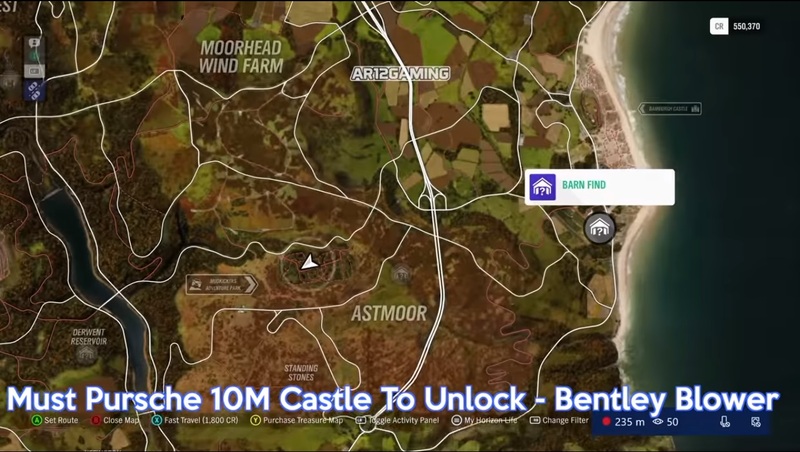 Once you’ve bought the castle, the barn’s location will be revealed as being south of the beach near Bamburgh Castle. 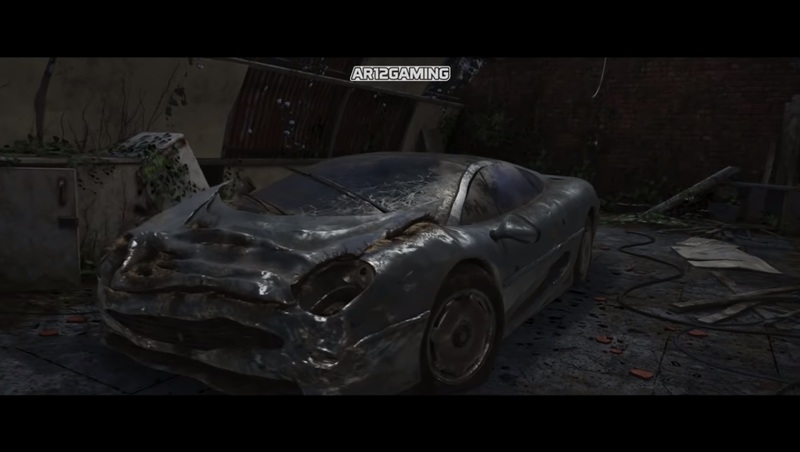 It’s a beautiful car but it’s up to you to decide if it’s worth the price tag. 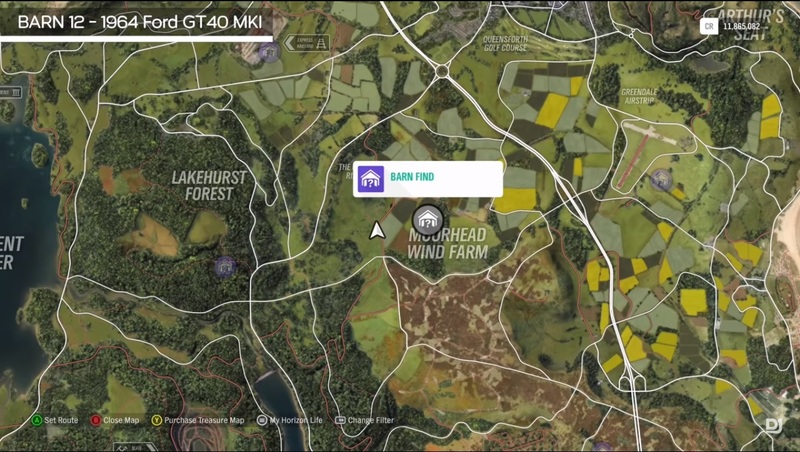 The Spring barn can be found just above the Moorhead Wind Farm map text and waiting inside for you is a Ford GT40 MKI. 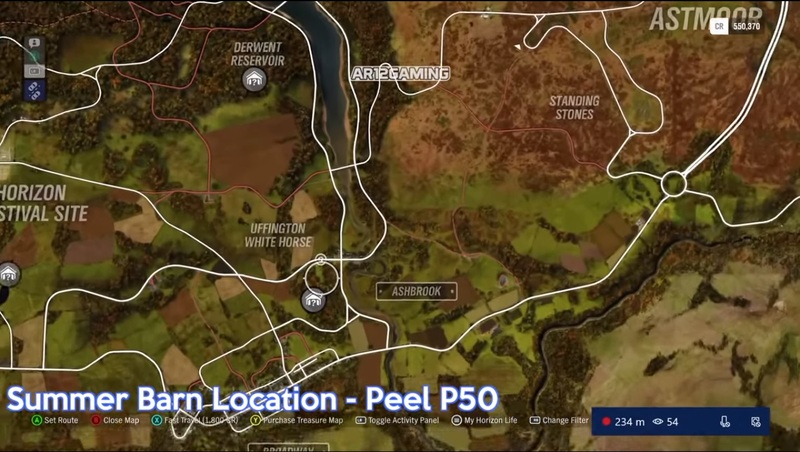 The Summer barn can be found just south of Uffington White Horse and West of Ashbrook and houses a tiny, if a little tired looking, Peel P50. 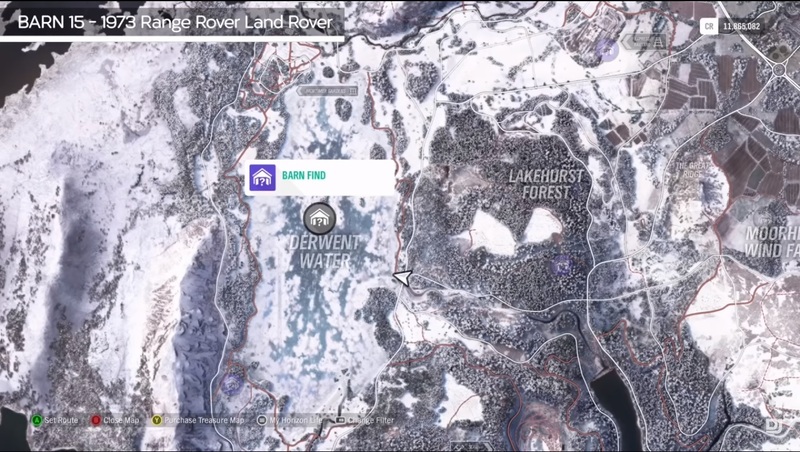 The Winter barn can be found slap bang in the middle of Derwent Water, with a yellow Range Rover Land Rover hidden inside. 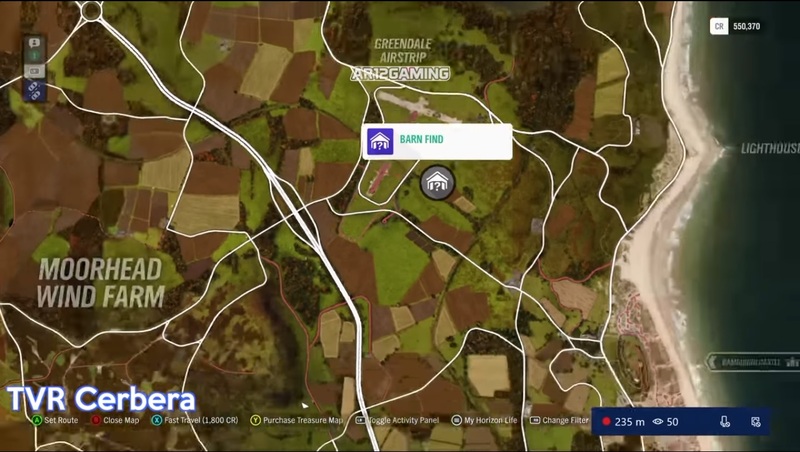 We know of two other barn locations on the map but sadly not what’s inside. 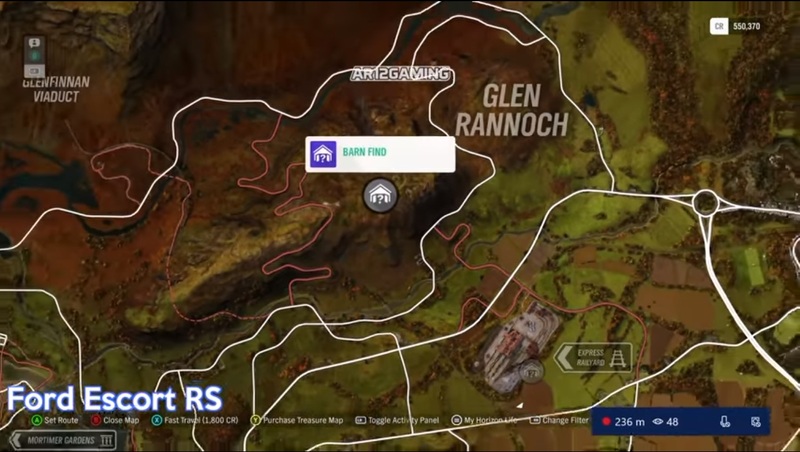 There’s a barn located South of the Glenfinnan Viaduct and one which is near the East coast of the map. 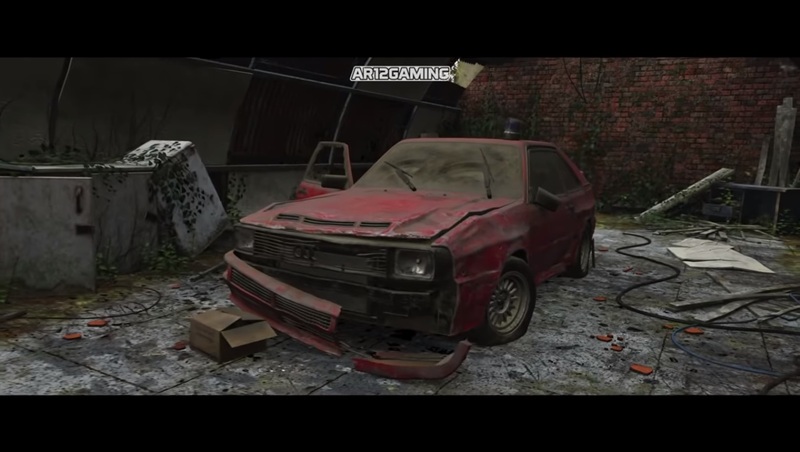 Once we know of any more locations or cars we’ll update this list so keep your eyes peeled for news. 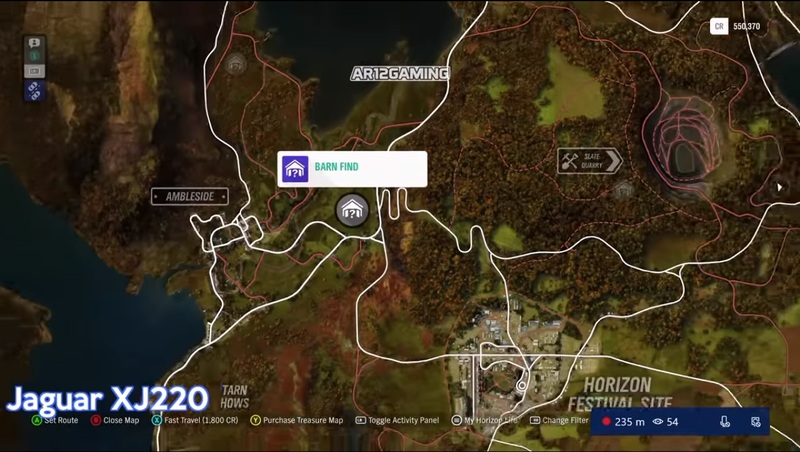 You can find the full car list for Forza Horizon 4 here, as well as information about the LaRacer @ Horizon story missions here. Happy racing!